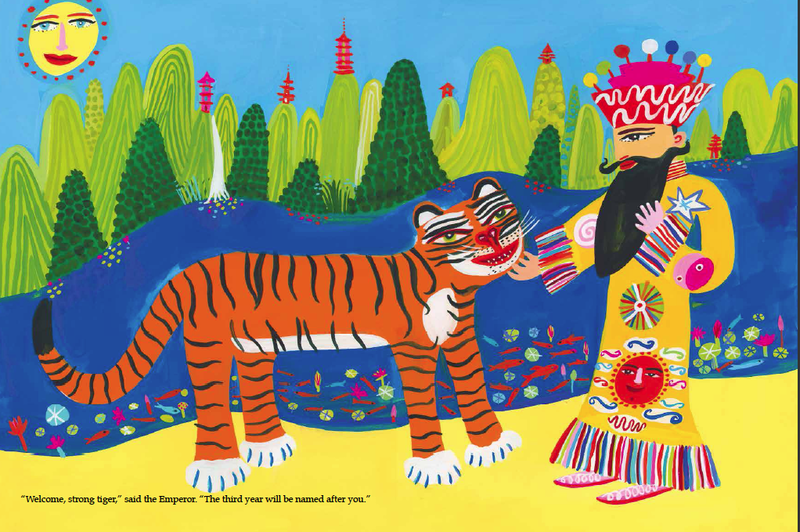 A new retelling of The Great Race, a classic Chinese folk tale, comes to us from author-illustrator Christopher Corr. In this version of the Chinese zodiac story, the Jade Emperor, realizing he doesn’t know his age, creates the Great Race in order to start measuring time. The first twelve animals to cross the river get a year named after them. Each animal’s story ensues. For those unfamiliar with the animals, they are the rat, ox, horse, goat, monkey, dog, pig, snake, tiger, rabbit, rooster and last but definitely not least, the dragon. 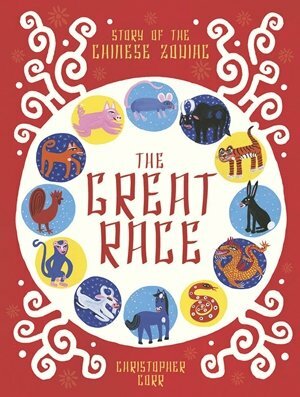 All told, The Great Race: Story of the Chinese Zodiac is another wonderful way to enjoy the stories of the twelve animals representing the Chinese zodiac. 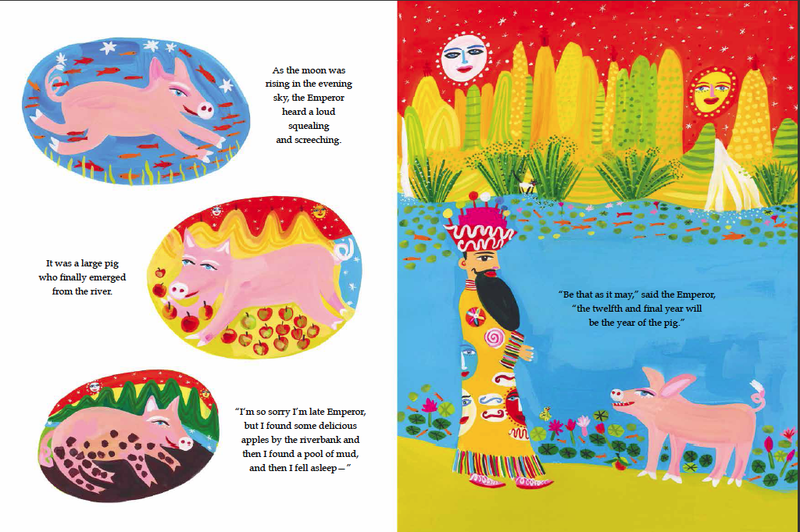 All artwork provided courtesy of Frances Lincoln Children’s Books/Quarto Books ©2018.